The European Union is funding a research project on the integration of drones and unmanned submarines into fleet units. According to the EU Commission, the „Ocean2020“ project will be used for „maritime surveillance and interdiction missions at sea“ and other military purposes. The information gathered on the swarms of drones provided the „commanders“ with a „comprehensive picture“ of developing situations, together with findings from other systems. The military project „Ocean2020“ is financed by the European Defence Fund, for which the EU Commission has approved 35 million euros. First results should be available in 2020. The project is under the leadership of the Italian arms company Leonardo, the European Defence Agency is in charge of supervision according to the EU Commission’s answer to a written question. 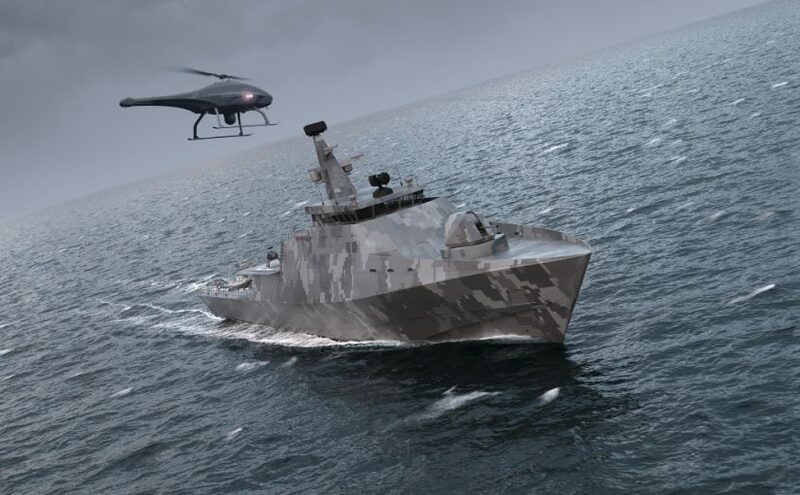 The aim is to combine already developed and technically different drones and to demonstrate the added value of this combination for maritime situational awareness. Next year, the drones will be tested on water and in the air in the Mediterranean Sea, followed by a series in the Baltic Sea in 2020. The Commission is silent on the products tested, the leading Leonardo Group is more eager to provide information on its website. The tests in the Mediterranean are coordinated by the Italian Navy, where the helicopter drones „Hero“ and „Solo“ produced by Leonardo are flown. In the Baltic Sea, the flight tests will take place under the supervision of the Swedish military. According to the Commission, more than 20 unmanned systems are to be included in the demonstrations. However, the details will remain confidential. All in all, 42 partners from 15 EU countries are participating in the project, including the defence ministries of Estonia, France, Greece, Italy, Lithuania, the Netherlands, Portugal, Sweden, Spain and Great Britain. The industrial partners on board are defence companies from Spain, France, Italy, Sweden and Germany. The British missile manufacturer MBDA is also involved. Whether the swarms of drones could be armed or whether there are plans to do so is not clear from the publications. The European armaments company Airbus is also researching the use of swarms of drones. They are to fly in combination with a manned fighter jet and also be used for reconnaissance purposes. However, the drones could also be armed. Airbus has recently carried out its first flight tests with the German Armed Forces in the Baltic Sea. The establishment of a military situation centre for maritime surveillance is also to be prepared in „Ocean2020“. For now, this „European Union Maritime Operations Command“ (EU MOC) will be based in Brussels. The video data of the drones and remote-controlled submarines generated during the tests are to be streamed into the new facility in real time. The Defence Research Fund was launched by Commission President Jean-Claude Juncker in June 2017. It is intended to ensure the development of a „strong EU defence industry“. In addition to „Ocean2020“, the Defence Fund also supports other projects. In the „GOSSRA“ project, soldiers are networked with each other using sensors, with the German armaments group Rheinmetall among those involved. Under the acronym „ACAMSII“, arms groups and companies from the textile and aerospace industries are developing a camouflage to protect their own soldiers from such sensors. Image: Concept study for OCEAN2020 by the Swedish defence company Saab.